Praxis Exam | What is the Praxis Exam and How do I Prepare? Home / Blog / Test Prep / What are the Praxis Exams? You’re a few classes into your teaching program and you hear something about the Praxis Exam. What is this test, and do you as a prospective teacher have to take it? This article will answer your questions about the Praxis exam, whether you’re a prospective teacher or simply looking into the education field. Learn what the test is, how it works, what’s on it, and everything else you need to know. And, hear about a current teacher’s experience with the testing and her advice. The Praxis Exams are a collection of tests. Prospective teachers must take specific Praxis tests based on their desired area of teaching. This is required in most states as prospective teachers begin their licensing procedure. What’s on the Praxis Exams? Within the Praxis exam system, there are the Praxis Core and Praxis Subject Assessments. These tests include multiple choice and essay questions, and are taken on a computer at a testing center. The Praxis Core assesses general academic knowledge in math, reading, and writing, and may be taken as a prerequisite to the other tests or to student teaching. The subject tests are specific to licensure as a certain type of teacher. For example, students wanting to become an elementary school teacher may have to take one of the Praxis Elementary Education tests. Other Praxis Exams are content based. Katherine Gibson, high school teacher at Holy Family High School in Broomfield, CO, took the Praxis Social Studies: Content Knowledge test as part of her licensure to be a social studies teacher. She explained that this allowed her to teach a broad range of social studies subjects, anything from world history to economics. 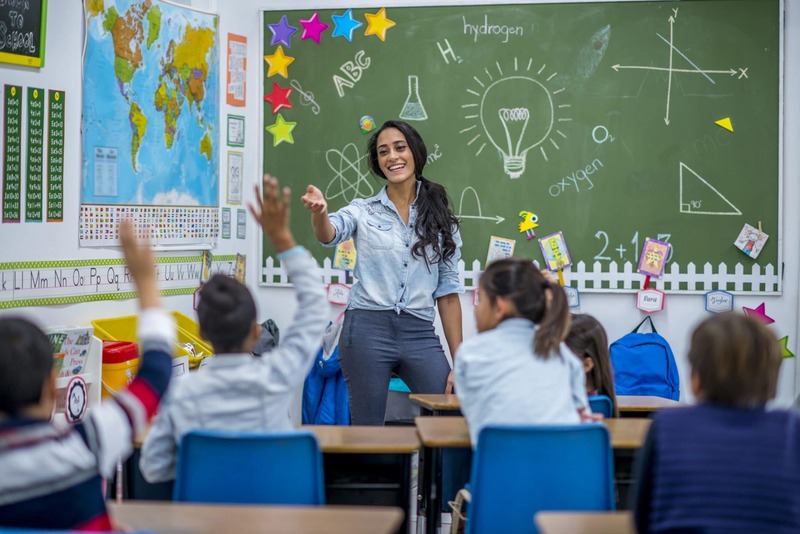 “When studying for the test, the thing that did help me was really realizing that teaching social studies and being licensed to teach social studies doesn’t mean just one area. I had always just had this assumption that if I teach social studies I’ll be teaching history, but that’s absolutely not the case,” said Gibson. Gibson taught psychology as a student teacher, and now teaches both history and Spanish. She is able to teach Spanish without official licensure in the subject because she teaches at a private school. Each section of the Praxis Core is scored on a 100 – 200 point scale, while the entirety of individual Praxis Subject Assessments are also scored on this scale. You will receive a pass or fail status for each section based on your score. While technically passing scores depend on your state, most states have the same requirements. However, if you move to a state that has a higher score requirement, you may have to retake the test. Check passing scores by test and state here. Gibson said that she “felt both prepared and unprepared,” as the test asks questions on a broad range of topics. Her first study method was to use online resources such as YouTube videos, but quickly found that this wasn’t an organized way to study and checked out a book on studying for the Praxis from the library. She also utilized practice tests that the Praxis test service, ETS, provides. “I would say to be effective in the studying, definitely find a book that is geared towards studying the Praxis. Don’t just try to study all of the content like I did at first, just so you at least know what the breakdown is,” said Gibson. The college Gibson attended had a six week winter break, so she used this time to study for the Praxis. Peterson’s typically recommends about six weeks of preparation for test day, but if you are balancing other classes during this time, you may want to spread it out further. Gibson also recalled utilizing other test taking strategies she found in the book she used, such as not taking a practice test the day before the actual test, and starting to just review instead of covering new information about two weeks before the test. Need more practice tests? Check out Peterson’s Praxis I Practice Tests here. How do I register for the Praxis Exams? Praxis Exams are computer-based and administered at testing sites. Visit the Educational Testing Center website to register and for testing locations, and click here for test prices. The Praxis is an important test as it can determine if you can earn your licensure to become a teacher. However, keep in mind that the most important thing is to pass for your state. And, you can retake the test if needed. “I would say too that if you have the time to study for it, great, put your heart and soul into it. But if you don’t, don’t kill yourself trying to do it. I think there are way more important things on the road to figuring out how to be a teacher and this is just one little step that you’re required to take,” said Gibson. She explained that you do need to take and pass the test, but it is not necessarily a determinant of if you will be a good teacher as it measures only your knowledge of the content you may be teaching. While content knowledge for teachers is important, Gibson said that you will review content before teaching a new class no matter what, you just may have to put in more time if you will be teaching a subject you aren’t as well versed in. “The test doesn’t tell you that you’re going to be a good teacher or a bad one, it just prepares you for if you do have to teach a new class, you know how much you need to prepare,” said Gibson. The Praxis test is helpful to understand where your strengths and weaknesses are, and of course the goal is to pass the test in order to earn your license. It is also preferable to earn a score that will allow you to meet the requirement in all states in case you relocate. But, as Gibson pointed out, the Praxis does not define you as a teacher. So put your best effort into the test, but remember it is only testing your knowledge of content.